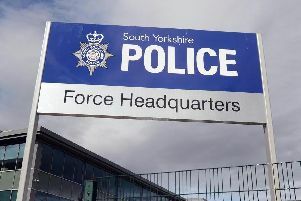 Detectives investigating the sexual assault of an elderly woman in her Sheffield home by a man pretending to be a council worker believe there may be more victims. Det Supt Una Jennings said police received three reports that a man had tricked his way into homes of pensioners in Walkley. She said that on one occasion, a woman was sexually assaulted, the suspect exposed himself to another and cash was stolen in a third incident. Three men have been arrested on suspicion of conspiracy to commit burglary and one of them has also been arrested on suspicion of sexual assault. They all remain in custody. Det Supt Jennings said: “We have received three reports relating to a man who has tricked his way into the homes of elderly women. He has purported to be there to carry out work on behalf of the council. “On two occasions, the women have been subjected to sexual offences. On one occasion, cash has also been taken. “These incidents are incredibly serious and I know how hard it has been for these brave women to come forward. With this in mind, I’m conscious there could be more incidents and more victims whom we are not aware of. “We are working closely with those affected to provide specialist support. We can provide this same support to others. I want to reassure anyone affected that we will work sensitively with you to bring the person responsible to justice and allow you to feel safe again. “You can report the incident to my team by calling 101, quoting incident number 531 of August 21. “We have specialist officers ready to speak to you or you can call Crimestoppers if you would prefer to provide information anonymously on 0800 555 111. If you would prefer not to report this, but have been affected, please call victim support who will be able to help you. “If you are not sure of the identity of a caller, please call the organisation they claim to work for to verify their identity before allowing them access, or turn them away. Anyone with information should call 101, quoting incident 531 of 21/08/18.